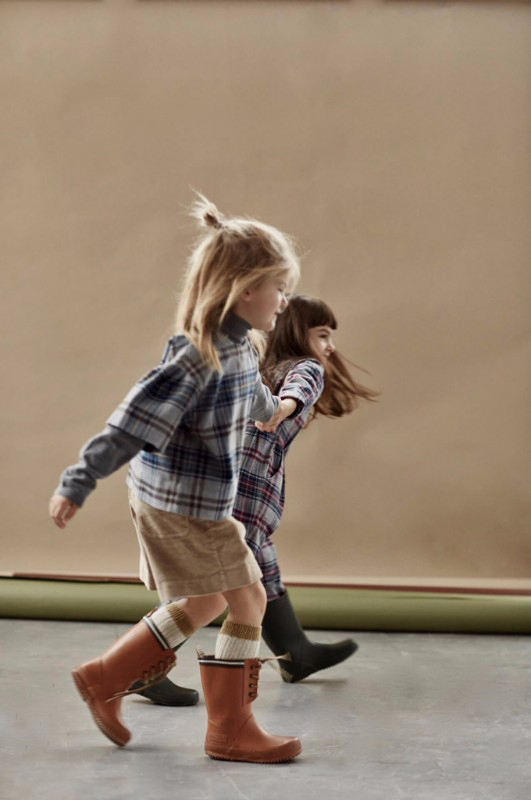 Nobonu is a small eco chic label for women and children. Minimal style, natural and soft fabrics, carefully selected colors – this describes Nobonu perfectly! The founder and designer Samia Krajewska comes originally from Libya, has worked many years in the fashion business in Italy and is now living and raising her two children in Poland. Samia thinks of herself as a blend of these cultures and the same is valid for her collection. Nobonu reflects these multicultural influences – the long and airy dresses, the harem pants, all in natural fabrics, beautiful colors and in precise and elegant cuts! The collection is produced in a small scale manufacturing in Poland, ensuring ethical production principles and quality of the products. We are in love with these comfortable and casual yet sophisticated looks and hope you like them too! For this Fall-Winter Nobonu has chosen classic corduroy and checked flannel for their collection – and it works so well! The corduroy and cotton flannel have this classic, timeless flair and Nobonu combines them with casual, cool shapes! There is this adorable 60s Twiggy style mini dress in soft, creme colored corduroy with two pockets in the front. Like an elegant version of Pippi’s favorite dress! 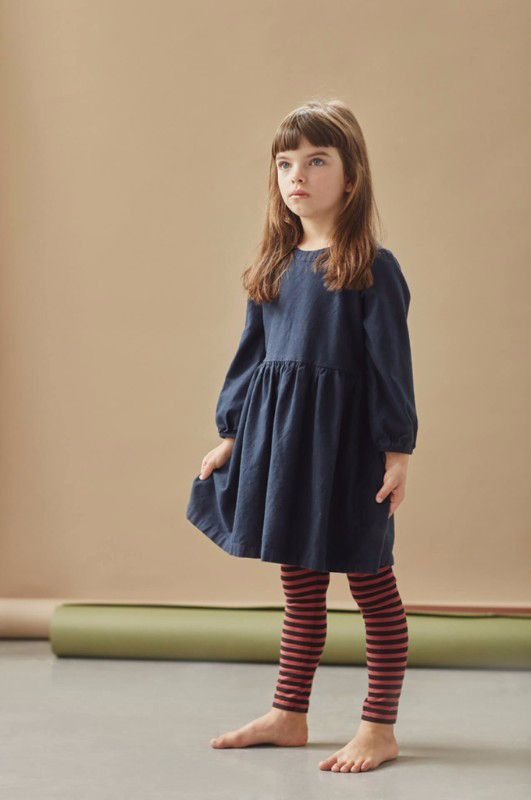 Easy to wear with a longsleeve and leggings or tights – your little one will love it!